This Mini Spot is a powerful and compact LED spot moving head light. this fixture a great companion for small - medium installations, live events, rentals or mobile entertainment. This mini spot moving head comes with built-in display show program for an easy set without Programming. Can be controlled by DMX mode, Sound Activation and Master-Slave modes, which allow the user to create professional show performances in seconds. Please choose quality product when you make purchase. Do not buy inferior quality product, cause it will not only waste your money, but also may cause you damage. 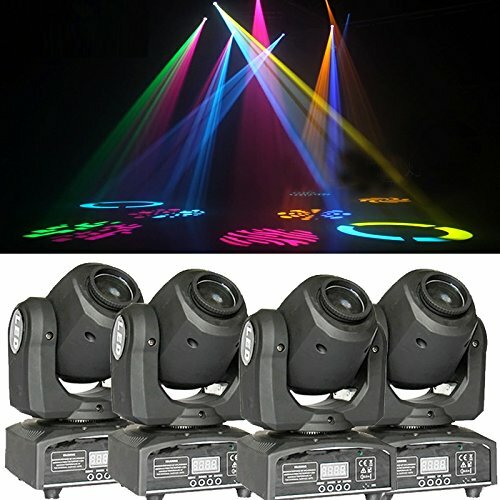 Professional 9/11Channel DMX-512 LED stage light. If you have any questions about this product by lawkiaa, contact us by completing and submitting the form below. If you are looking for a specif part number, please include it with your message.